So after a lot of wait and trials, WhatsApp has finally rolled out the WhatsApp Business for Android. It is simply named as WhatsApp Business, now available on the Google Play Store and can be installed for free. Currently, it is available in the US and UK, Mexico and Italy, and it will be rolled out in India soon. I just installed it, verified the phone number and set up a business account for our page (Well, haven’t set up the direct WhatsApp chat option on the page yet). But, here’s a sneak peek of what’s inside. Right when the app starts for the first time after you have just verified your number, you will see a ‘B’ inside the WhatsApp logo, no more changes here! 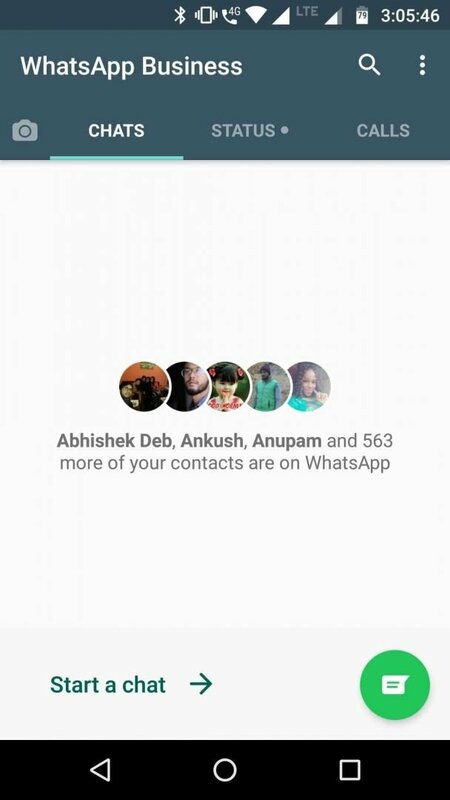 On the main WhatsApp screen as well, there are almost no changes compared to what we see on regular WhatsApp app for Android. Just that, it mentions WhatsApp Business on top. 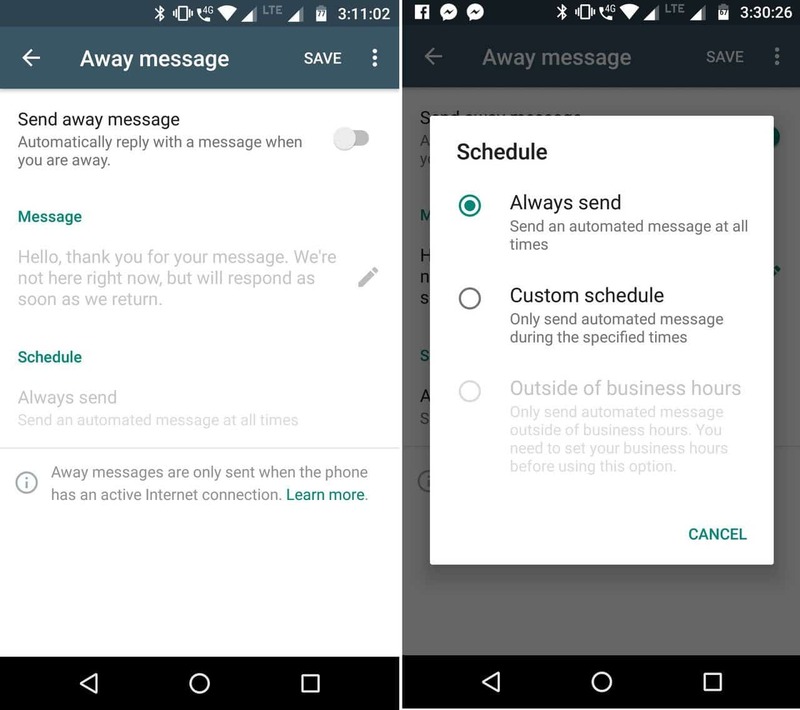 But as soon as you dive into the settings section on WhatsApp Business, you see some options taking you deeper and deeper into the main features of WhatsApp Business as compared to the standard app. There you get the options to edit your profile, where you can add information like address, business category, description, business hours, email address and website. 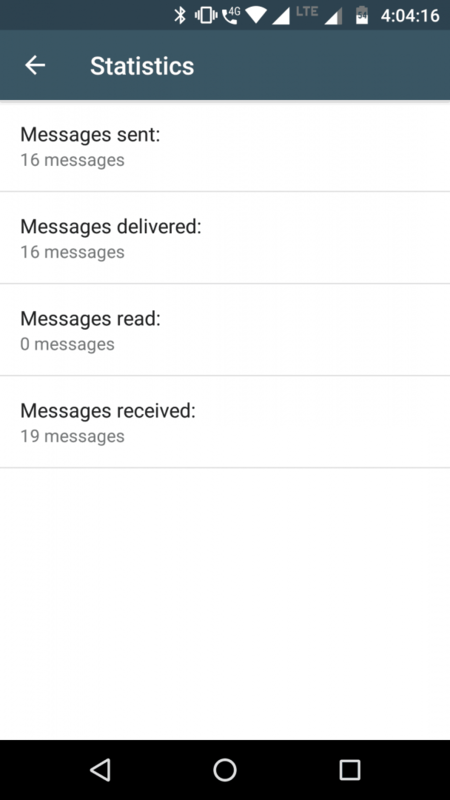 You can set away messages to let customers know when you’re not able to respond to their messages. You can turn it one at specific times during the day depending on business hours as well. 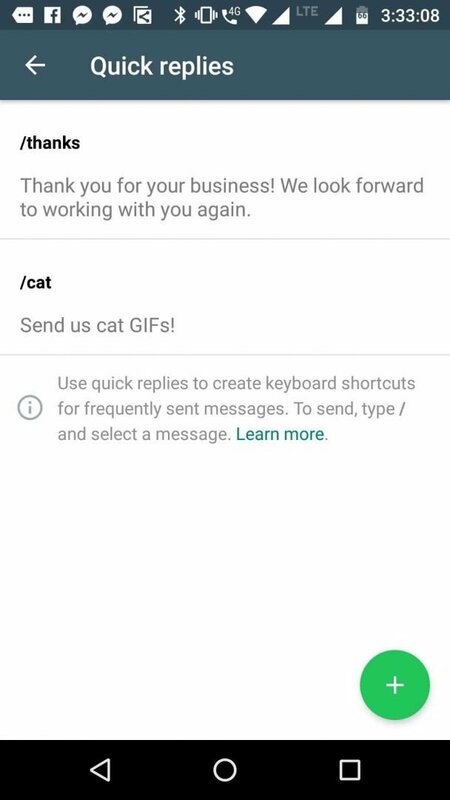 This is a good feature for sure, and I guess many businesses will get benefitted from this feature of WhatsApp Business. 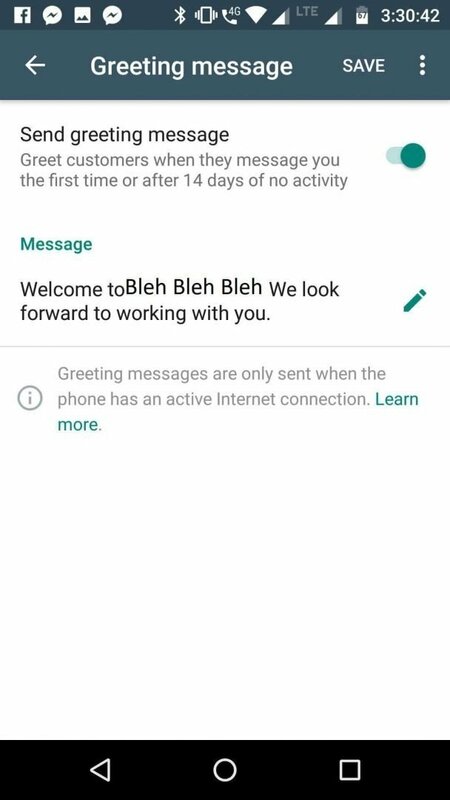 You can also set greeting messages for customers those you didn’t have a conversation with for two weeks or for those who are contacting you for the first time! Ignore that ‘Bleh Bleh Bleh’ part! 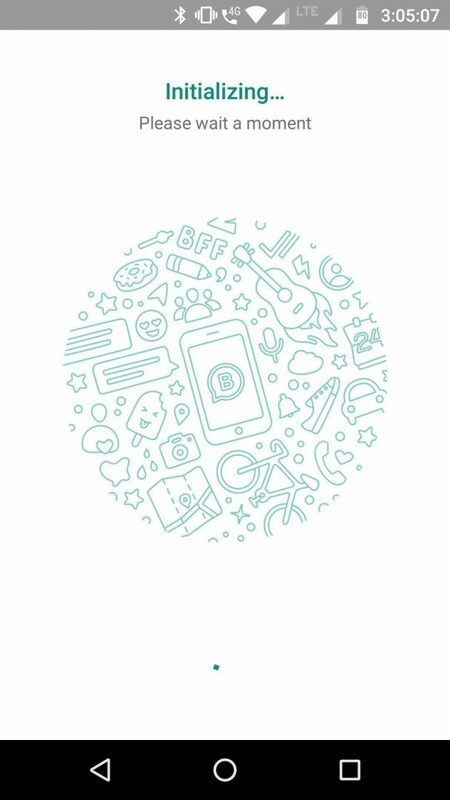 And the last and final option WhatsApp Business users get is the statistics, which is very useful for sending promotional messages and inform existing customers about new offers and deals. When a business owner sends a message, he can see the delivery and read count. In my case, I can’t see it because our lord Vamsi has turned ‘Read Receipts’ off. That’s all you get as of now on WhatsApp Business. It is currently available in a few countries and it may arrive in India next week, considering the fact that WhatsApp has a huge user base in India and WhatsApp itself has acknowledged that businesses in India are already using WhatsApp to grow their businesses! It was just a small WhatsApp Business walkthrough to this new app by the IM Giant, we will provide more updates in case any new feature rolls out soon! Previous articleMacKeeper Review – The Most Controversial AntiVirus Application Is Actually Pretty Good!